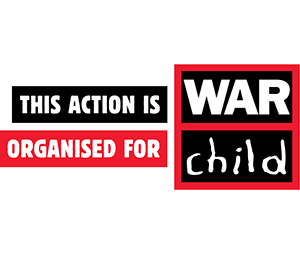 Until the end of October, the ELLIS FAAS programme Make Up Not War is raising money for War Child – the international organisation that protects and supports children affected by armed conflict. 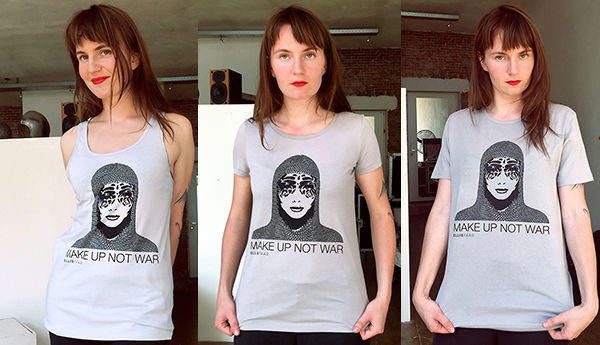 To increase awareness about Make Up Not War AND get in extra donations for War Child, ELLIS FAAS have printed the main visual of the campaign on three types of fair-wear t-shirts made from organic cotton. ELLIS FAAS will donate all net proceeds (being a minimum of €5 for each t-shirt sold, depending on type and size) to War Child. 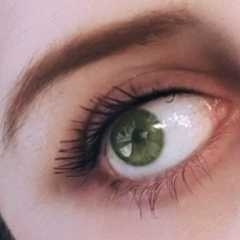 and all available in sizes S/M/L. Prices are €15,00 / £12,50 / US$16.50 and all net proceeds go straight to War Child. Een mooie actie. Ik ga zo een shirtje bestellen.